ACP Now! » ACP Photobook Fair ACP Now! 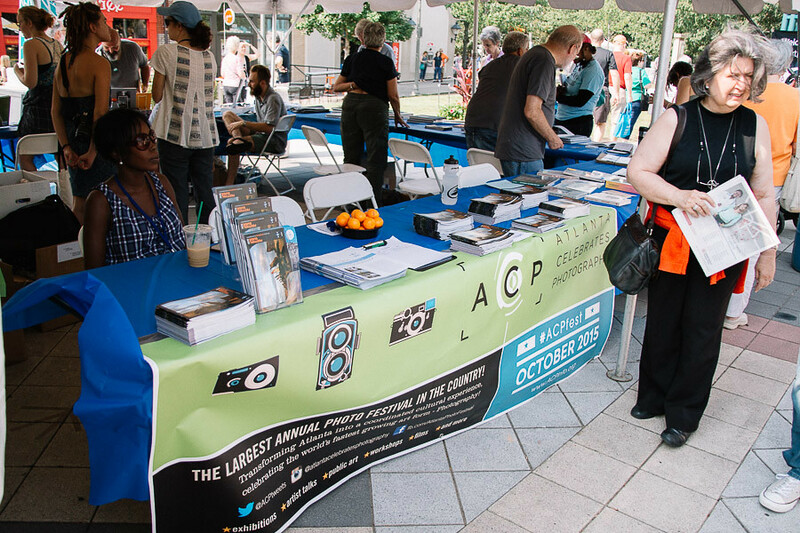 We've had last-minute cancellations and could use a few volunteers this weekend for the ACP 2017 Photobook Fair. Here are the details; please sign-up here and let us know if you can assist! Thanks! Both volunteers will be greeting guests, assisting with setting up the tables, chairs, putting tablecloth on tables, placing table stanchions on tables, putting water bottles on tables, assisting vendors who may be alone in bringing in materials and other light duties as needed. Both volunteers will assist vendors with clearing their tables. You will also assist ACP staff with breaking down the tables & chairs, removing linens and light clean-up. As we prepare for the ACP Photobook Fair at Hathaway Gallery on Oct. 14 & 15, we wanted to share with you the schedule of artist's talks and book-signings, below! In addition to the ACP Photobook Fair on Oct. 14th & 15th, Daylight's Michael Itkoff will be able to meet one-on-one with three local photographers to discuss their projects. If you were looking for a chance to have your work seen by a photobook publisher, this is your chance! There are three 20-minute slots available (at 25$ a slot), and you may sign-up now! 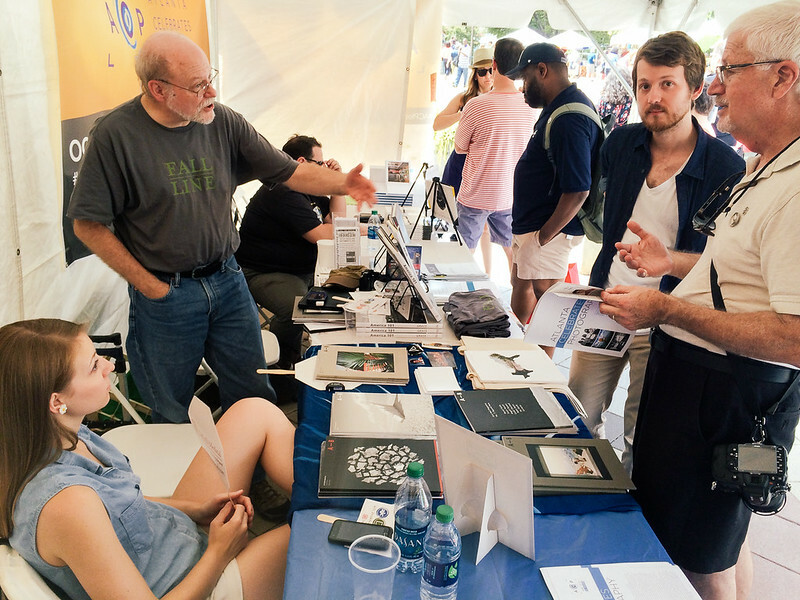 We had a great time at the ACP Photobook Fair this past weekend at Decatur Book Festival. We gave away thousands of Festival Guides, and the publishers in our booth sold a bunch of books! Big thanks to Ain't Bad Magazine, Daylight Books, Fall Line Press, J&L Books & Willard Pate for participating this year! 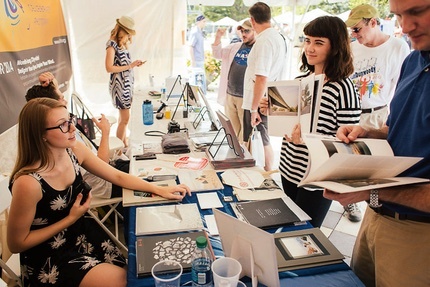 ACP Photobook Fair at Decatur Book Festival This Weekend! 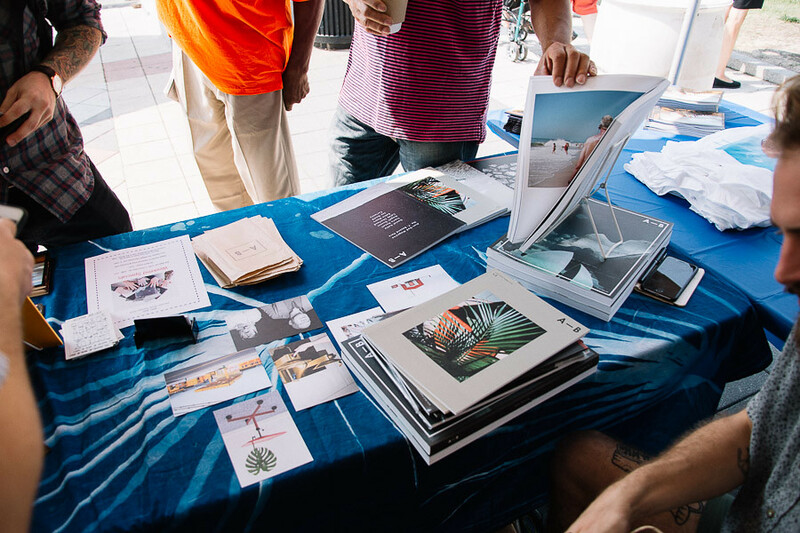 ACP Photobook Fair This Weekend at DBF! Photography books are more popular than ever, and there are some groundbreaking independent publishing outfits that are enabling us all to discover photographic projects that may not otherwise see the light of day. We have invited a few of these publishers to our ACP "photobook booth" at the Decatur Book Festival. 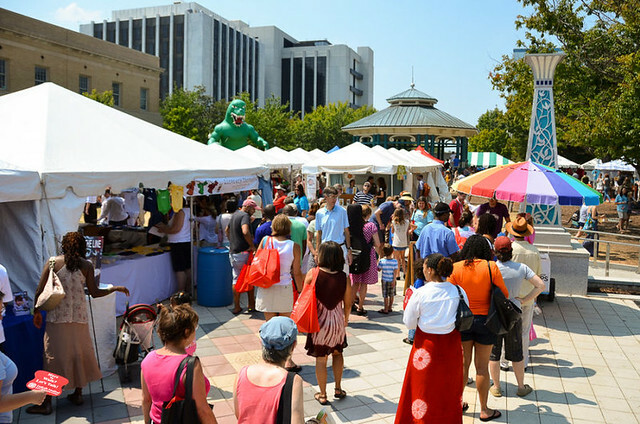 Saturday (10am-6pm) & Sunday (12-6pm), come to Decatur Square to enjoy book signings, author readings, panel discussions, an interactive children's area, live music, parades, cooking demonstrations, poetry slams, writing workshops, and more. Admission is free. Parking on street or in multiple parking decks, or take MARTA to the Decatur station. ACP 2014 Photobook Fair Roundup! 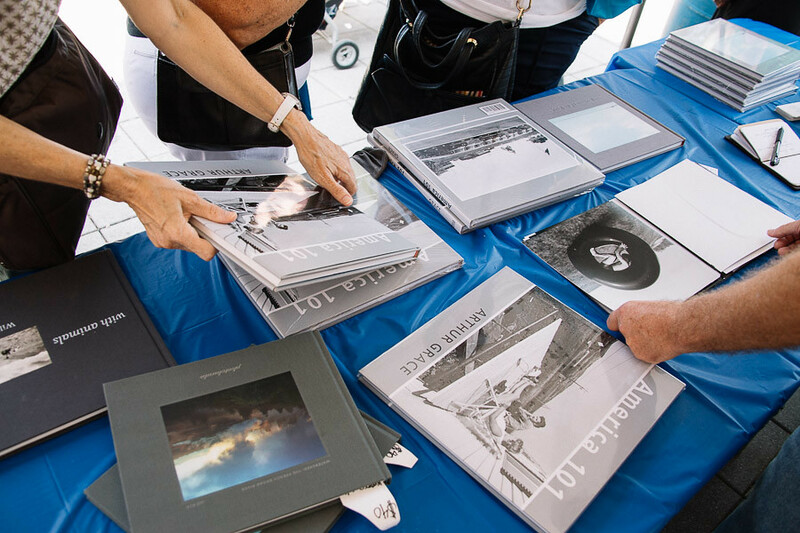 We had a great weekend at the Decatur Book Festival with our annual Photobook Fair! Big kudos to Ain't-Bad Magazine (Taylor, Taylor & Jessica), Fall Line Press (Megan, Roby & the indefatigable Edwin Robinson) and Robert Shults & E. Brady Robinson with their publications from Daylight Books! We thank you all for the good humor and comradery while sweating-it-out in the heat. Didn't hurt to be fifteen feet from the King of Pops, right? As you'll see below, we had some fun while keeping cool & giving away thousands of ACP Festival Guides, and talking to so many of you about the festival and the intersection of photography & books. Thank you for your interest and support! 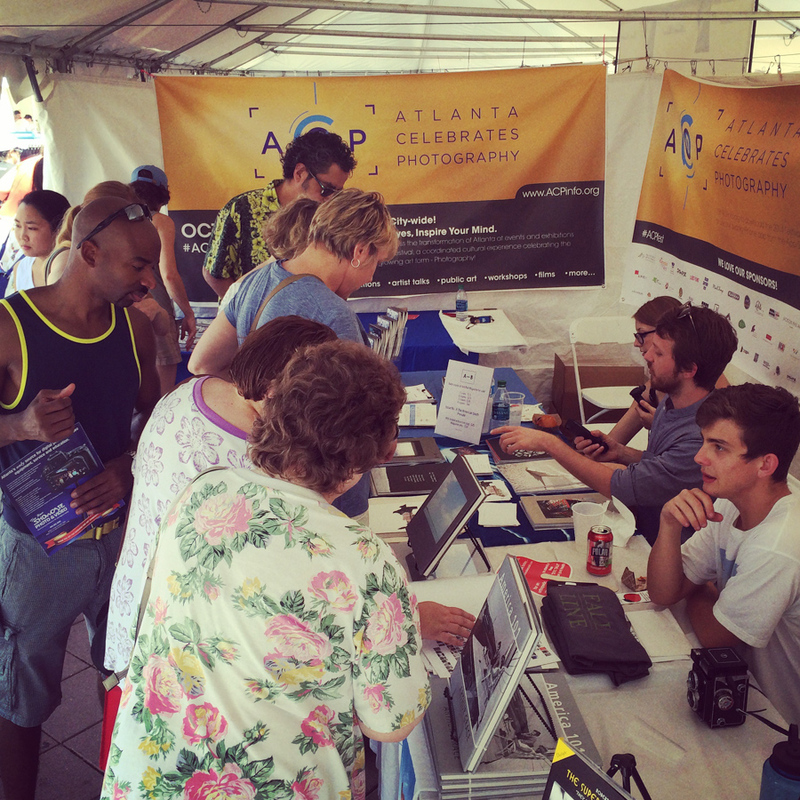 Big thanks to everyone who made the ACP Photobook Fair a smashing success at the Decatur Book Festival. Eager to be back at it tomorrow afternoon! Swing by, pick-up your Festival Guide, and say hello to Ain't-Bad Magazine, Fall Line Press, Robert Shults & E. Brady Robinson! We just received confirmation that we'll have ACP 2014 Festival Guides available this weekend at the Decatur Book Festival. 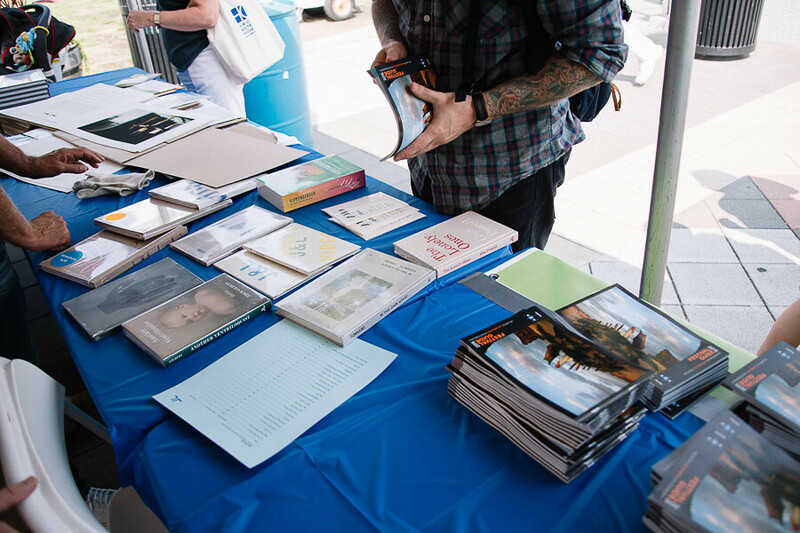 We'll be at #DBF2014 all weekend with our annual Photobook Fair, featuring Fall Line Press, Ain't-Bad Magazine, and Daylight Books authors Brady Robinson & Robert Shults. Here's the forecast, and we'll be there, rain or shine! 1. 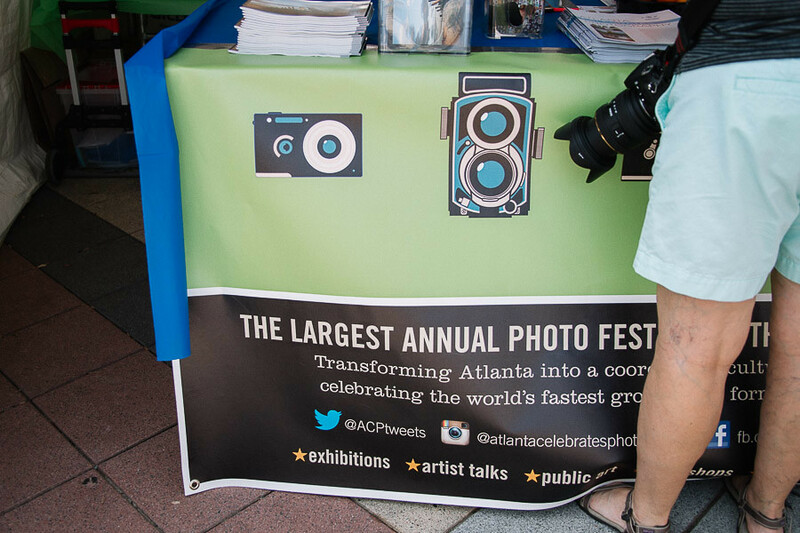 ACP Photobook Fair will be featuring publishers and artists at the Decatur Book Festival, Sat., 10-6pm & Sun., 12-6pm. Booths 362 & 363! 2. We'll have ACP 2014 Festival Guides at the Decatur Book Festival this weekend & in the office later this week! 3. The weather this weekend will be great! Come out to Decatur this weekend to pick-up a Festival Guide (or 5! ), see some innovative photobooks, talk to publishers and authors, and we'll see you there! 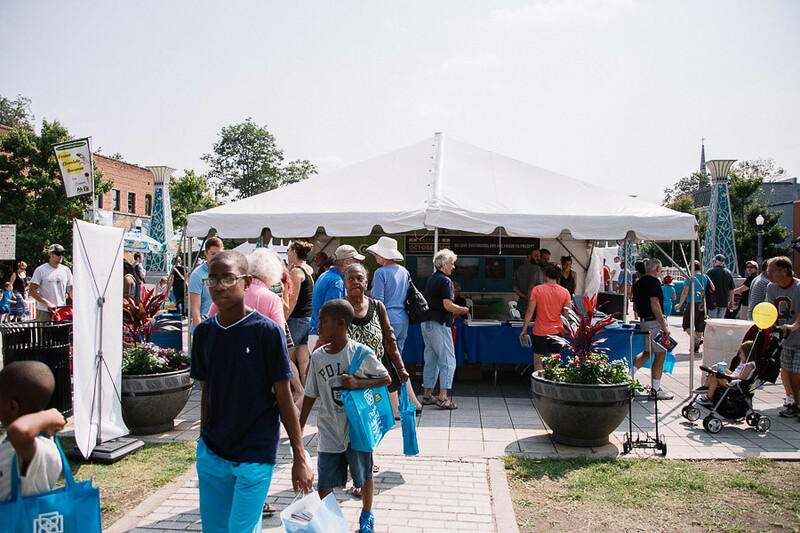 ACP will be joining many of our fellow Atlanta-arts organizations in participating in this weekend's Decatur Book Festival. We'll be at booth 301 & 302 (pdf map), and in addition to handing out ACP 2013 Festival Guides, we've invited local photographers to present (and in some cases, sell) their photobooks. Booth 301 & 302 is on the south side of the DBF, between Trinity Place and the artDBF complex. See you Saturday and Sunday! In 2013, AJC DBF is launching art|DBF, an arts and culture showcase within the festival. 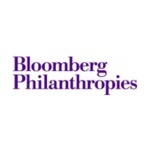 art|DBF recognizes that a vibrant, creative, and economically thriving community can be achieved by elevating the value and visibility of the arts — literary, visual, and performing; increasing accessibility, public involvement, and attendance; and working to ensure the long-term sustainability of arts organizations. This year AJC DBF has invited a diverse group of arts organizations to engage our imaginations with stories, ideas, performances, installations, films, music, artwork, and photographs in order to connect our citizens more broadly with the arts and cultural opportunities in their local community. Participants include Atlanta Celebrates Photography, Atlanta Contemporary Art Center, Art Papers, Burnaway, Dashboard Co-op, FilmLove, Flux Projects, gloATL, High Museum of Art, The Lucky Penny, Museum of Design Atlanta, MOCA GA, Serenbe Playhouse, Soul Food Cypher, Straw Hat Press, Staib Dance, Theatrical Outfit, WonderRoot, among many others. What will result from this meetup between authors, poets, publishers, readers, bookstores and visual/performing artists, photographers, musicians, dancers, and filmmakers? Conversation. Collaboration. Activation. Creation. Transformation. Celebration. Tonight’s Photo-Documentary Double-Feature, plus Sign-up for Photobook Fair! A quick reminder of tonight's ACP Film Series Double-Feature at the Plaza Theater, featuring two photo-documentaries about Alec Soth and Gregory Crewdson. This is the first time Gregory Crewdson: Brief Encounters has been screened in Atlanta, and we're lucky to see the film before it opens in New York! Plus, the film's director, Ben Shapiro, will be in attendance. Atlanta Celebrates Photography Photobook Fair 2011 from ArtRelish.com on Vimeo. While we're at it, here are the remaining events for this week; we hope to see you out and about! Thurs: Opening reception for "Affrilachia in Words and Images"
Sat: Panel discussion for "Affrilachia in Words and Images"